On Monday 28 September, a group of European citizens, transport workers and union members launched a new European Citizens’ Initiative called “Fair Transport Europe”. 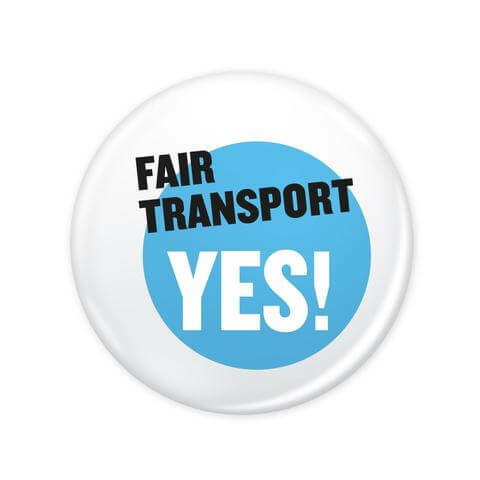 “Fair Transport Europe” calls on the European Commission (EC) to propose measures for ensuring fair competition in transport and to guarantee equal treatment of workers. The initiative puts forward seven concrete proposals the EC can take to improve working conditions and secure fair competition for law-abiding businesses in the different transport sectors. ETF – the European Transport Workers’ Federation* is supporting the initiative and the collection of signatures. “We hope that the Commission will see this initiative as a chance to engage with the European public and the trade unions to make real improvements in the working conditions for the millions of European transport workers,” says Lars Lindgren,Representative of the Citizens’ Initiative Fair Transport Europe and President of the European Transport Workers’ Federation. As the EU becomes more interconnected, the jobs done by transport workers become even more vital for mobility and growth. Of the 11 million transport workers in Europe, many are forced into deplorable working and living conditions because of insufficient or poorly implemented EU legislation or unfair business practices. This threatens the cohesion and mobility of Europe. ”We want to turn around the race to the bottom. Most of our challenges can only be solved in cooperation between the different EU institutions and national levels and in cooperation between transport workers and responsible employers. With this initiative we want to contribute to a better and more constructive dialogue on how to resolve the challenges faced by transport workers across Europe”, says Lars Lindgren. Practices of social dumping have real and dire consequences, not only for the workers themselves, but also for companies that want to compete on quality of services rather than on worsening working conditions. Fair transport is about fair working conditions, faircompetition, as well as about safety for consumers and passengers. “Fair transport is an issue for the European general public. As long as we cannot send an apple, a pair of shoes or ourselves by email, Europe needs qualified transport workers with proper working conditions and as of today these transport workers need Europe’s support,” says Lars Lindgren. Before 14 September 2016, the Citizens’ Committee and its partners will collect at least one million signatures as required by the European Commission across Europe.